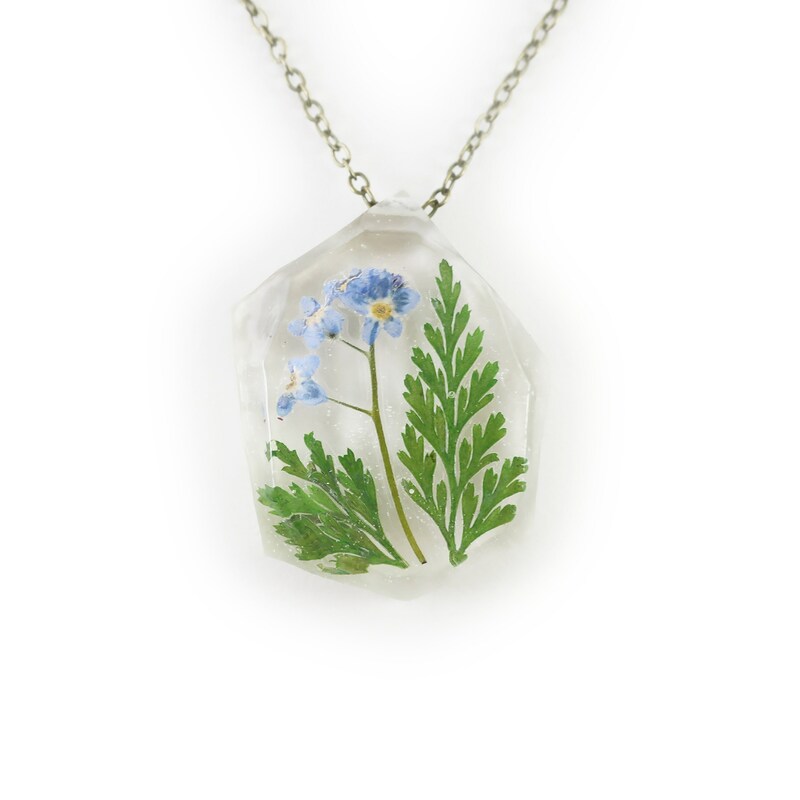 A variety of beautiful dried pressed flowers preserved in a hand cast crystal clear eco resin pendant. 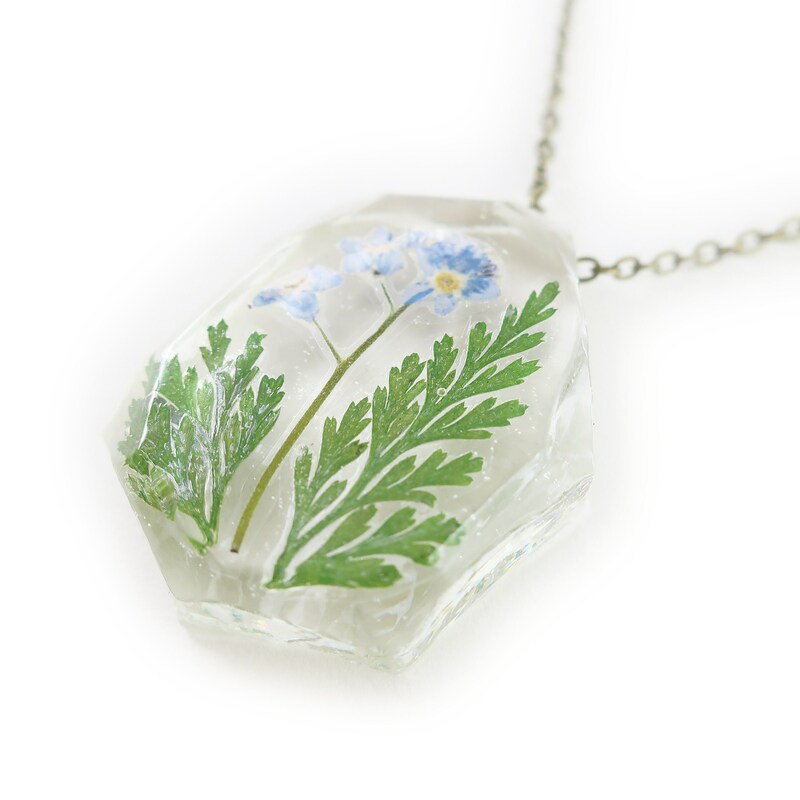 The flowers are incased in laminate inside the resin so they do not fade or become translucent. The pendant is a medium geometric faceted shape. The chain is a fine-link antiqued cooper with antiqued brass lobster clasp, 18 inches around. 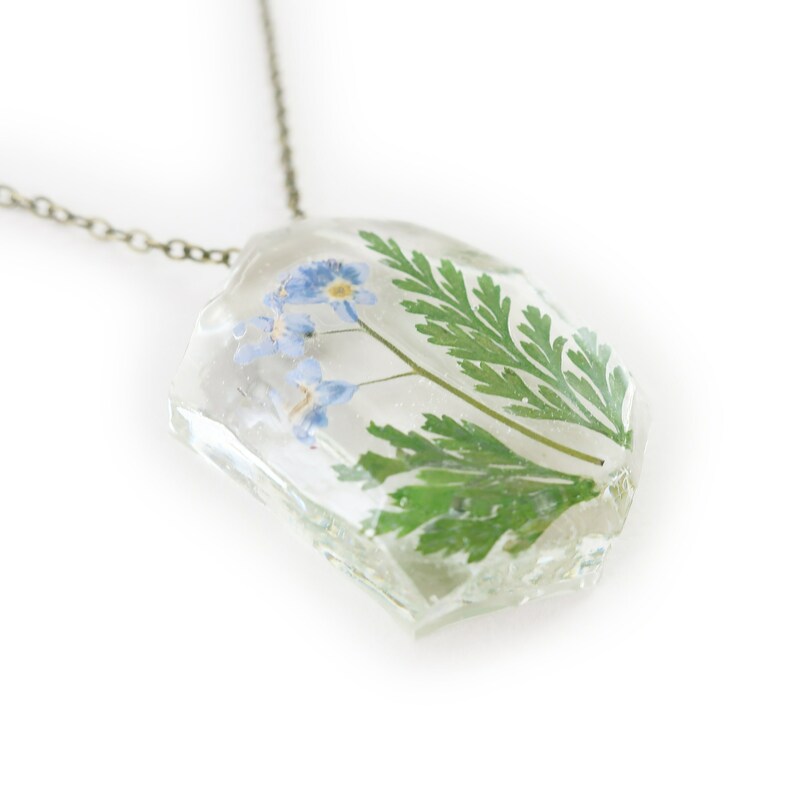 The pendant is 1 inch high by 1.5 inches wide. It is one of my medium sized pendants.